“Sons are smashing windows, furious they’re asked to stop playing computer games. Doors are hanging off hinges having been slammed so hard in a fit of pique. Teenagers are holding knives to their mother’s throat, or threatening to kill themselves. Also note how the point of deploying the technology is entirely covert and great lengths are gone to embed hidden tracking systems into the physical environment. Persons subjected to the advertising are also not told that they’re accepting a tracking device for the purposes of such advertising where the content displayed is specifically for tailored emotional manipulation much more than ordinary advertising. Persons later question if the experience was a “coincidence,” etc. Ogilvy’s ad campaign was the brainchild of William Godfrey, an “experience designer” at the advertising agency. Ogilvy is a fan of Battersea—and of pets in general—Godfrey explains, and he thought about how technology could be used to bring the plight of homeless animals directly to the public in a memorable way. “I had the idea that it would be lovely to digitalize dogs,” he says, and radio frequency identification seemed the best technology to make it appear that a digitalized canine was following people in the way that an actual stray dog might do. Ogilvy had considered the use of other technologies, such as cameras, but ultimately decided that RFID would make the process seamless and automatic. Eric Jones, RFIDiom’s managing director, says he, too, is an animal lover. 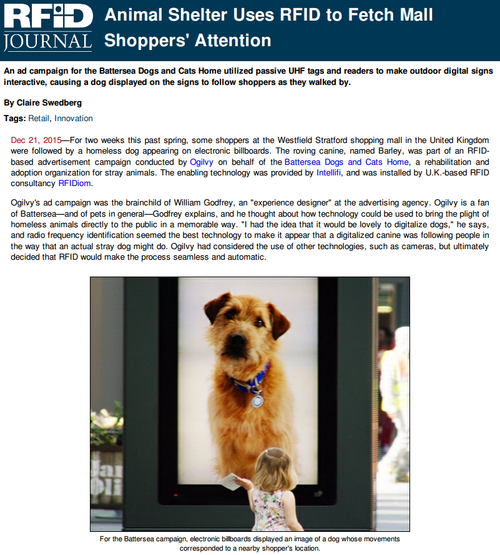 When Ogilvy suggested a campaign using RFID to put images of pets in front of shoppers on an individualized basis, Jones was up to the task, despite the short (two-week) deadline. It was a bit different than the company’s typical RFID deployments (which include document-tracking, supply chain management and industrial traceability solutions), and he says he and his engineers enjoy a good challenge. The RFID system worked this way: representatives of the Battersea Dogs and Cats Home, including Fishersmith herself, greeted shoppers at the entrance, offering them an RFID-tagged Battersea brochure if they seemed especially interested in pets. To better judge this, one individual stood at the entrance holding a dog or cat from the shelter. Every shopper who walked up to the animal to get a closer look at or pet it received a brochure. Attached to that brochure was a Smartrac Frog 3D RFID inlay encoded with a unique ID number that the system would recognize. That ID was not connected to any data about the individual carrying the brochure, since the company’s intention was that shoppers would remain anonymous. 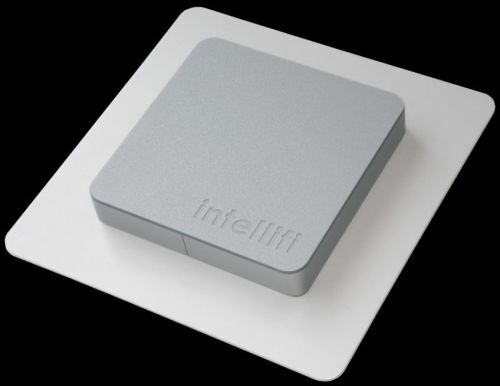 An Intellifi Smartspot RFID reader. A total of seven digital billboards, located in or near the mall, were RFID-enabled, according to Matthijs van der Weg, Intellifi’s CEO. An Intellifi reader (known as a Smartspot), with as many as six antennas built into it, was installed at each of the seven billboard sites, and some of the readers were also fitted with an additional external Intellifi reader antenna. The reader detected the zone in which an individual was located. Each antenna supported two to three zones, with a single zone’s radius equal to a distance of three steps that a shopper might move while walking. The reader forwarded the brochures’ unique IDs and signal information to Intellifi’s Brain software on the server, which then calculated each shopper’s location relative to that particular billboard. The location data was provided to Ogilvy’s content-management software, which displayed an image of a dog whose movements corresponded to that shopper’s location. If the person holding the RFID-tagged brochure was walking to the left, the dog followed in that direction. As he or she approached the screen, the animal on the video seemed to approach as well. In some cases, the readers were painted green and hung in trees or placed in bushes near the screen, while others were attached to lampposts. One RFID-enabled billboard was located on a nearby footbridge that some shoppers traversed to reach the mall. In this case, RFIDiom installed flowerbeds with false bottoms and buried the readers in with the flowers. During the two weeks in April, the system tracked hundreds of shoppers. “People did a bit of a double-take,” Fishersmith says. “At first, they weren’t sure if it was just a coincidence that the dog seemed to be following them.” In some cases, they approached the Battersea representatives in front of the mall to ask if their experience had just been a coincidence, and many wanted to repeat the process. Altogether, Godfrey says, shoppers carried about 700 brochures throughout the mall. The campaign’s successful result, he adds, “has put RFID on the radar” for other Ogilvy engineers. “I don’t think it will be the last time” Ogilvy will use such technology, he predicts, noting that the specific campaign will need to be one that benefits from the sense of having content follow an individual (in the same way Barley did). “The main thing is that we proved it could be done,” Jones says, speaking on behalf of Intellifi and RFIdiom. “George Orwell would be proud. Earlier this week Propublica discovered that more than 10 million Vizio televisions silently record what their owners are watching and send a live-stream of their viewing habits to a commercial company that uses it to profile them. Most disturbingly, Vizio ties this viewing information to the user’s IP address, allowing their offline interests to be used to target them with advertisements in the online world. “From inception, in other words, Google was incubated, nurtured and financed by interests that were directly affiliated or closely aligned with the US military intelligence community: many of whom were embedded in the Pentagon Highlands Forum. Noting Google’s genesis with DARPA funding, the expansion of the empire today in the realm of Google’s actions with GeoEye and Keyhole; Boston Dynamics, DeepMind, Nest Labs, Dropcam, etc—the trajectory becomes clear. 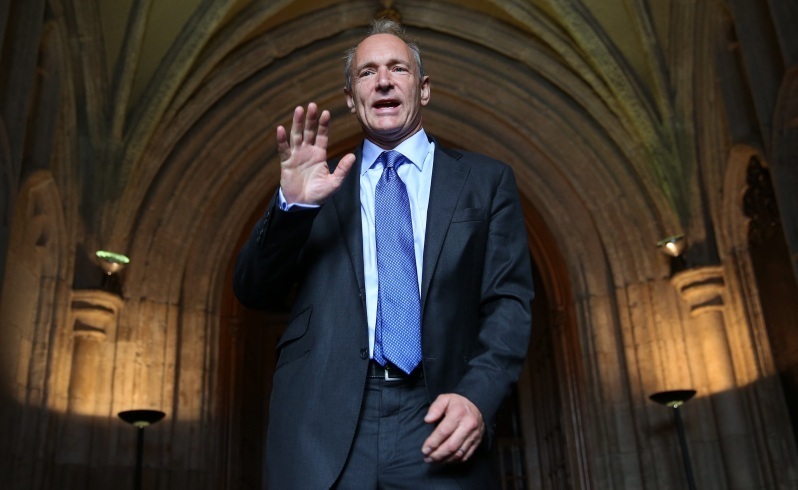 “Mass surveillance is about control. It’s promulgators may well claim, and even believe, that it is about control for the greater good, a control that is needed to keep a cap on disorder, to be fully vigilant to the next threat. But in a context of rampant political corruption, widening economic inequalities, and escalating resource stress due to climate change and energy volatility, mass surveillance can become a tool of power to merely perpetuate itself, at the public’s expense. The use of technology that allows the police to “see” inside the homes of suspects has raised privacy questions. “The idea that government can send signals through the wall of your house to figure out what’s inside is problematic,” Christopher Soghoian, principal technologist for the American Civil Liberties Union told USA Today. “About 2pm on Monday, December 15, Rebecca Kay took a phone call from NSW Police Counter-Terrorism. The officer wondered if she could help police find an Islamic State flag. This was one of the demands of Man Haron Monis, the gunman holding 18 hostages at the Lindt cafe in Martin Place. ”And if they give him a flag he was going to exchange it for a hostage,” says Ms Kay, a convert to Islam who has become a prominent community member in western Sydney. Ms Kay was one of several people contacted that afternoon, and she was only too willing to help. Ms Kay believes she called as many as 50 people, but finding an IS flag – or anyone willing to admit they had one – proved no easy task. But she counselled that they should try to help. “In the end, Ms Kay says, police sourced their own flag. But then they told her it had been decided there would be no trade with Monis in any case. By now she had burnt many bridges in her own community. It got worse. About 2am the next morning – about the time of the deadly final shootout inside the Lindt cafe – NSW police searched the western Sydney home of one of the young men she had contacted. He had considered handing over his flag to Ms Kay but then thought, no, it was a trap. ”And so he then believed I did try to set him up,” she says. The next morning, she was told, the Australian Federal Police raided the homes of another two men who had been contacted during the community’s urgent attempt to help save hostages. “Obviously, they were listening to all our phone calls,” Ms Kay says. Lawyer Zali Burrows, who represents some of the people who tried to help police, wonders: “Why didn’t they just print one out.” A laser printer could have produced the flag on cloth and they could have delivered it in half an hour, she says. Police would not respond to questions about the flag or whether they intended to allow Monis to display it to the world’s televisions and risk him winning the support of other extremists. She says she would want to help police in another such crisis, but: “They’re not building trust. With this incident they have not built trust at all. “German researchers have discovered security flaws that could let hackers, spies and criminals listen to private phone calls and intercept text messages on a potentially massive scale – even when cellular networks are using the most advanced encryption now available. “The Kissinger system has been in development for about eight years, with the latest model designed to plug into a smartphone. By kissing the screen, the movements of a person’s lips can be mirrored in the other machine and that kiss will be given to whoever has his or her mouth against a corresponding machine. 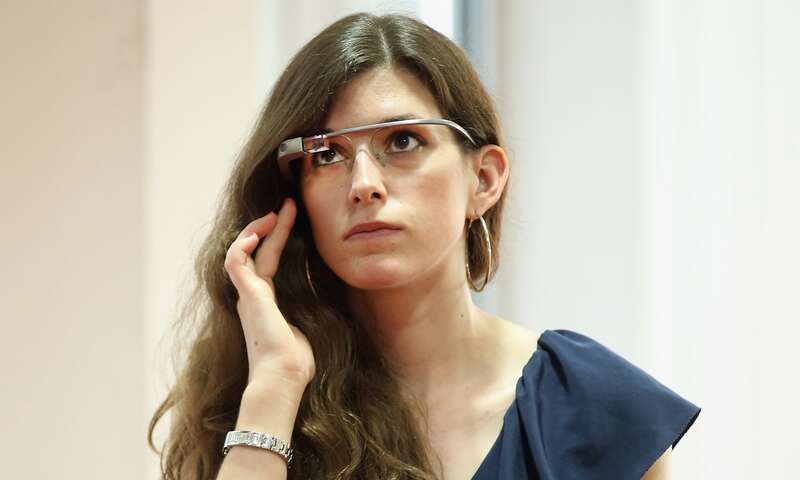 “Scientists have treated a man they believe to be the first patient with internet addiction disorder brought on by overuse of Google Glass. 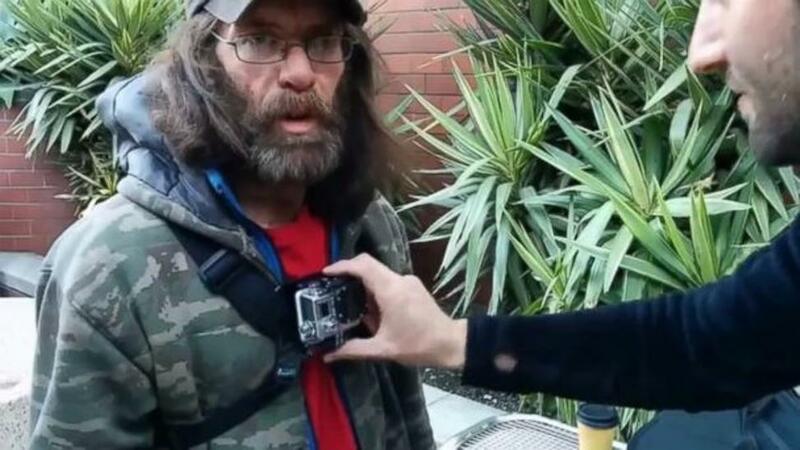 “An inconspicuous Melbourne apartment block is home to a monitoring service that keeps watch on environment groups at the request of the federal government. The National Open Source Intelligence Centre, a private intelligence company, works under contract for the Australian Federal Police and Federal Attorney-General’s Department to monitor activist websites, blogs, Facebook and Twitter to provide warning and analysis of protest activity. NOSIC has been engaged on contract by the AFP and the Attorney-General’s Department since at least 2003. From 2006 to 2008, it was paid $184,800. “The nation’s electronic espionage agency, the Australian Signals Directorate, is in a partnership with British, American and Singaporean intelligence agencies to tap undersea fibre optic telecommunications cables that link Asia, the Middle East and Europe and carry much of Australia’s international phone and internet traffic. Access to this major international telecommunications channel via Singapore’s government-owned operator SingTel and the country’s Defence Ministry has been a key element in an expansion of Australian-Singaporean intelligence and defence ties over the past 15 years. It also underpinned the former Howard government’s approval of SingTel’s takeover of Australia’s second largest telecommunications company, Optus, in 2001. The Australian Signals Directorate also accesses the SEA-ME-WE-3 cable traffic from the cable’s landing in Perth. “The New South Wales police have used sophisticated hacking software to monitor the phones and computers of Australians, according to documents published by WikiLeaks. “The Australian government has been building a state-of-the art, secret data storage facility just outside Canberra to enable intelligence agencies to deal with a ‘’data deluge’’ siphoned from the internet and global telecommunications networks. “Australia’s leading telecommunications company, Telstra, has installed highly advanced surveillance systems to “vacuum” the telephone calls, texts, social media messages and internet metadata of millions of Australians so that information can be filtered and given to intelligence and law enforcement agencies. The Australian government’s electronic espionage agency, the Australian Signals Directorate, is using the same technology to harvest data flows carried by undersea fibre-optic cables in and out of Australia. Confidential documents obtained by Fairfax Media reveal the secret technology used to trawl Australians’ telecommunications and internet data for analysis by ASIO, the ASD and law enforcement agencies. All Australian telecommunications and internet service providers by law must maintain interception and data-collection capabilities for government. The leaked documents reveal that a little-known Melbourne-based company is a key provider of the secret monitoring technology. Newgen Systems, owned and managed by local telecommunications engineer Robert Perin, is the sole Australian supplier for Gigamon, a large Silicon Valley-based information technology firm that specialises in what it terms “network traffic visibility solutions’’. Gigamon’s hardware enables telecommunications and IT network administrators to track, inspect and analyse all data flows undetected without affecting the performance of networks. “When Matthew Whisker picks his children up from their north shore childcare centre he doesn’t automatically have to ask how their day went – he already knows. The Neutral Bay father has an app which alerts him to the daily activities and achievements of his children Harry, 11 months, and Lulu, five, almost immediately via his smart phone. The app is being trialled in three Sydney centres operated by Only About Children, with plans to roll it out more widely later this year. Victoria’s Woodland Education has developed a similar app which also alerts parents to the real-time minutiae and milestones of their children’s lives, including what they had for lunch and if they soiled their nappies. But experts have questioned whether young children need to have their lives documented in such detail and how it might affect normal interactions between parents, kids and carers. 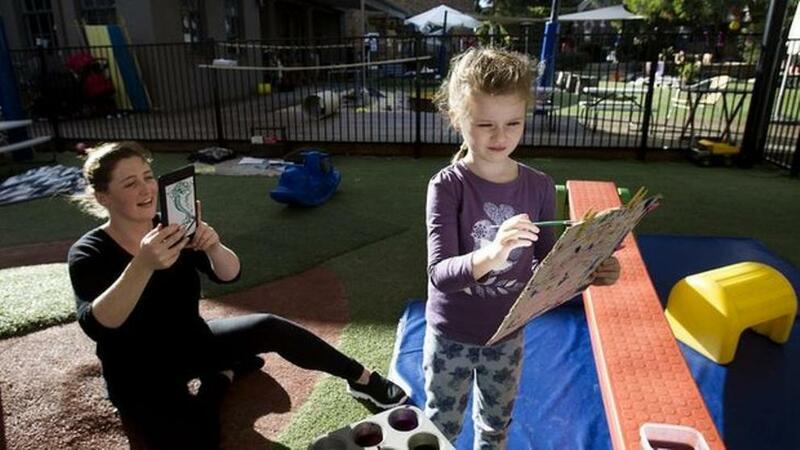 Only About Children’s chief operations officer, Kathryn Hutchins, said the group, which has 31 centres in NSW, Victoria and Queensland, developed the app in response to parental demand. 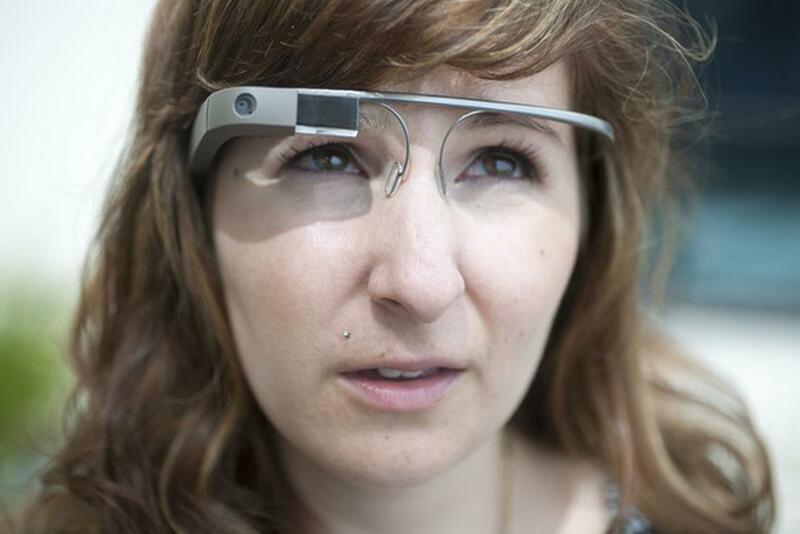 “Google has big hopes for its Glass head-mounted computer, chief among them a desire to make the unit smaller and more comfortable to wear. “I feel technology has changed so much where people are emailing and don’t talk face-to-face anymore, people are losing social skills…and their compassion. “Keeping track of your emails and staying on top of your calendar might be hard enough, but for American software developer Chris Dancy, life doesn’t feel complete without several hundred data sets about his life being fed to him simultaneously at all times. “In some cases the NSA has masqueraded as a fake Facebook server, using the social media site as a launching pad to infect a target’s computer and exfiltrate files from a hard drive. In others, it has sent out spam emails laced with the malware, which can be tailored to covertly record audio from a computer’s microphone and take snapshots with its webcam. 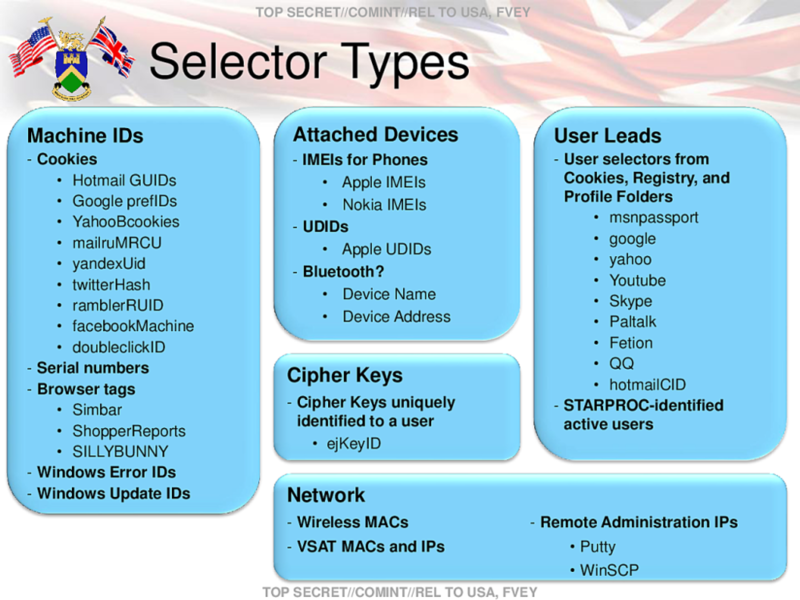 The hacking systems have also enabled the NSA to launch cyberattacks by corrupting and disrupting file downloads or denying access to websites. The implants being deployed were once reserved for a few hundred hard-to-reach targets, whose communications could not be monitored through traditional wiretaps. But the documents analyzed by The Intercept show how the NSA has aggressively accelerated its hacking initiatives in the past decade by computerizing some processes previously handled by humans. 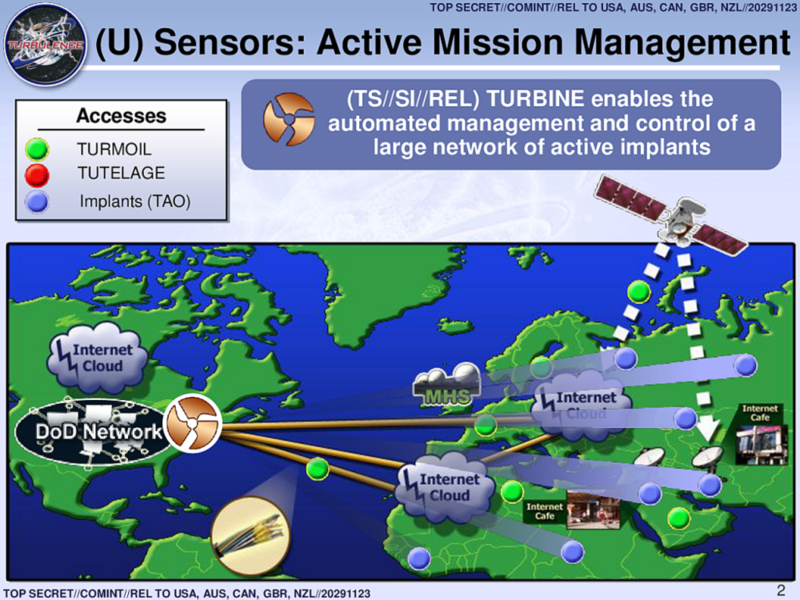 The automated system – codenamed TURBINE – is designed to “allow the current implant network to scale to large size (millions of implants) by creating a system that does automated control implants by groups instead of individually.